A leader in a Kentucky-based patient advocacy group is calling for more timely information about drug-resistant bacteria cases. Members of a state legislative health panel got a briefing earlier this month. 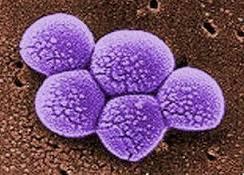 Health Watch USA Board Chair Kevin Kavanagh says Kentucky’s current regulation for reporting multi-drug-resistant bacteria to health officials is very good. Kavanagh anticipates a move to more of a consumer driven health care market, as opposed to a highly regulated approach, “We certainly need to get this public data out there, so the public can understand it, but get the data available to the public."